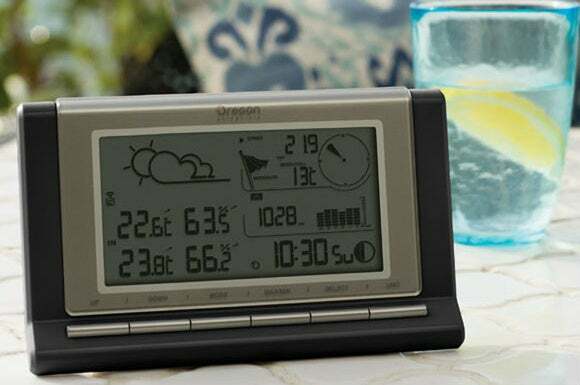 This weather station doesn't have a lot of flashy features, and there's no mobile companion app; but many will find its low price tag compelling. Oregon Scientific is one of the most prolific makers of weather instruments. With options ranging from your basic digital thermometer up to professional-grade weather stations, the company has something for everyone. With such a prolific catalog, we asked them to send us a mid-range model with a solid set of features. They sent the WMR89A. At $170 MSRP (available at Amazon), this model comes in at the low end of their “professional” line, but it offers all the weather instruments a station should have: temperature, humidity, barometric pressure, wind, and rainfall. Yes, the WMR89A lacks an app to access your data remotely, or any method to upload your data to the Internet, and it does suffer from accuracy issues from time to time, as most basic personal weather stations do. But for those with a casual interest in weather observation, Oregon Scientific’s basic personal weather station is more than adequate. The WMR89A’s wind vane and wind gauge are quite accurate for a personal weather station in this price range. Most of the WMR89A comes in pieces, so it does require a bit of assembly. You should have a Phillips screwdriver handy, since in some cases you’ll need to take sensors apart to install the batteries. It’s not that difficult, and the instructions walk you through step by step—including removing packing materials to prevent breakage (make sure you do, we forgot to remove fiber tape from the rain gauge and couldn’t figure out why it wasn’t measuring rainfall). Give it a few minutes to start reporting and you should be all set. If you want, head to Oregon Scientific’s support site and download their software, but be aware there it is Windows only (the Mac is not supported). That’s disappointing considering the increasing number of consumers who use Macs. For the most-accurate weather readings, follow our placement suggestions in the buyer’s guide and you shouldn’t have any problems. We ran the WMR89A through a full gamut of tests, including a variety of weather conditions. In most cases, the station performed well, although from time to time we did encounter issues with accuracy, especially in humidity measurement. We didn’t have problems with any of the sensors, and despite being made entirely of plastic, the sensor housings held up well during the duration of the test. Like the Netatmo, the sensors are completely battery-powered, and the batteries had a good deal of charge left after two months of continuous use. 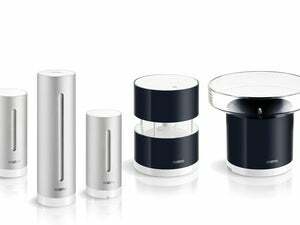 Even the display console—one feature the Netatmo doesn’t have—runs on continuous battery power if you don’t plug in its power adapter. But it was still going strong after our two months of testing. The rain gauge was generally accurate and often matched up well with other local weather station reports. Temperature measurements during our test were generally accurate and within plus-or-minus two degrees of the National Weather Service station we used as our control. Humidity was another matter. Our tests showed humidity readings to regularly be about five to 15 percent of; the differences were even more pronounced in humid conditions. Other sensors fared much better. The WMR89A’s rain gauge uses a tipping mechanism to measure precipitation by weight. We did notice the gauge often undermeausured precipitation, especially in heavier rain (a common problem with tipping-style rain gauges), but the variance was never more than five percent or so from the control station, a level we consider acceptable. 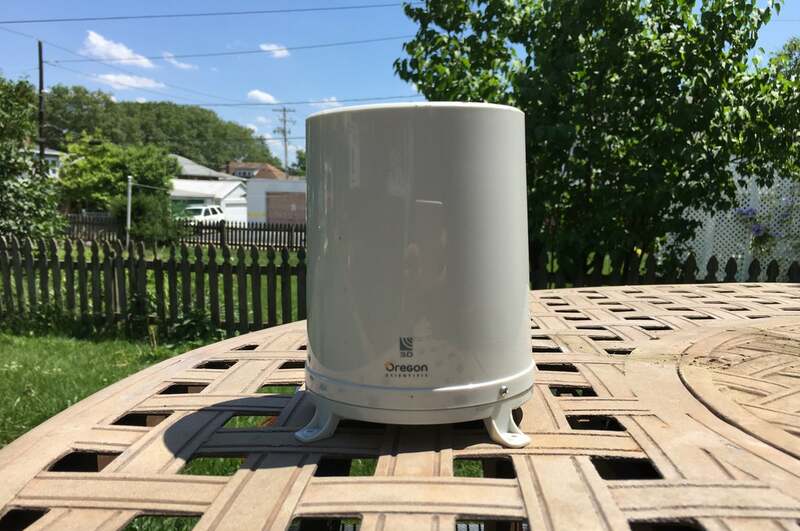 We also prefer Oregon Scientific’s wind gauge, which uses the traditional cup and vane method, over Netatmo’s sonic wind gauge. We found the WMR89A’s wind readings to be more accurate with the , and it was less prone to problems resulting from severe weather conditions. 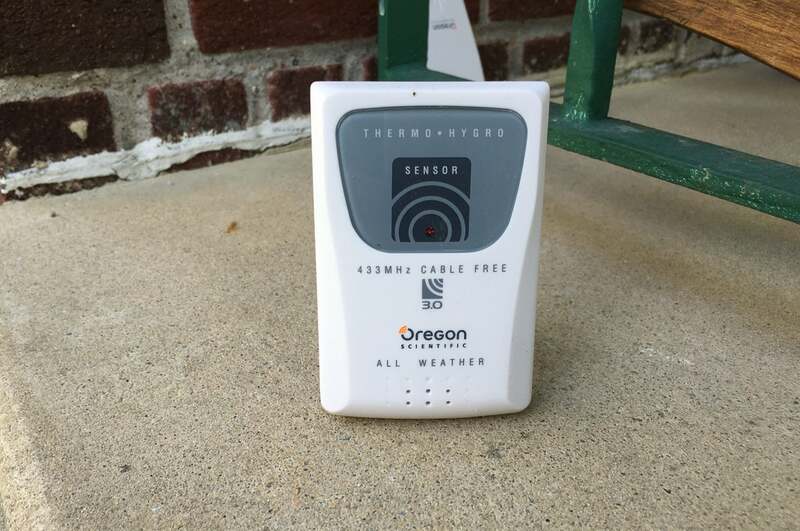 Although we didn’t get to test it, Oregon Scientific also sells a UV sensor that is compatible with this system—a rare option for stations in this price range. If you have a use for it, it’s $50, although from time to time the company gives it away for free if you purchase the station directly from them. We really liked the WMR89A’s desktop console, which also has the capability to store up to a week’s worth of historical weather data. The station console itself has the capability to store up to a week’s worth of data in hourly increments, which you can view on the console itself. If you want to archive this information, you’ll need Oregon Scientific’s Windows software. This software is free, and the USB cable you’ll need to connect to your computer is included in the box. The software is a bit clunky. While it gives you ways to display historical data through graphs, it’s severely lacking user friendliness. Some options are overly complicated, yet the interface sometimes too simple. I found myself struggling to figure out how to use it since there’s little instruction. There’s also no way for you to take this data and use it elsewhere, say through a third-party app or a service such as Weather Underground. The WMR89A is incompatible with third-party software, and there’s no way to upload data to the Internet—an odd omission considering earlier models were at least compatible with third-party software as a workaround. The wireless temperature sensor can be placed just about anywhere, although we recommend you make sure it stays out of direct sunlight. No data upload also means no app—once again, odd considering its line of Weather@Home stations can do this (although through Bluetooth only), and are less than half the price. The WMR89A’s software woes are its biggest shortcomings, and they’re one of the chief reasons why we prefer the Netatmo system despite its much higher price tag (when you add up the base station and the add-ons needed to match the Oregon Scientific system). Looking past the software issues, the WMR89A is by and large enough to satisfy a casual observer’s desire to keep an eye on the weather. The lack of good software, however, prevents us from recommending the station to anyone looking for more than that. We do like the added potential for a UV sensor—an option typically found only on stations two and three times its price—and the fact that the sensors are all in their own housings. Most stations at this price point (and even some above it) have gone to an all-in-one package, and if one sensor goes you’re replacing the entire instrument package. 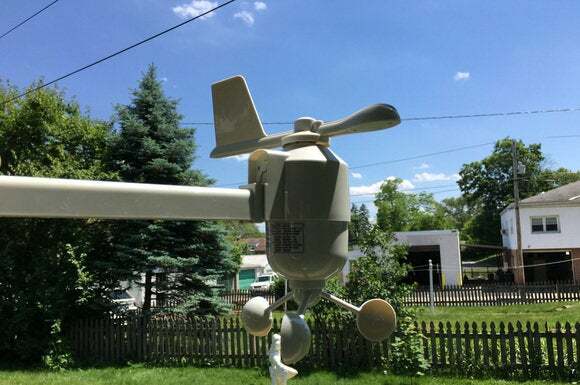 That’s much of the cost of these weather stations. Fix the software issues, and there’s little to find fault with. In fact, the WMR89A offers more than most its price; with good software, it would be hard to pass up. 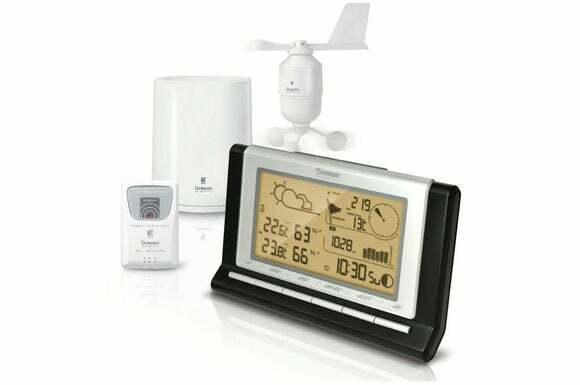 The WMR89A is a solid choice for someone who’s looking for a basic weather station to stay on top of mother nature. The lack of Internet connectivity is disappointing, however, considering this was included in earlier models; and Oregon Scientific's desktop application is confusing.